Love is in the air, Toronto! Looking for a memorable way to romance your special someone or treat your BFF this Valentine’s Day? 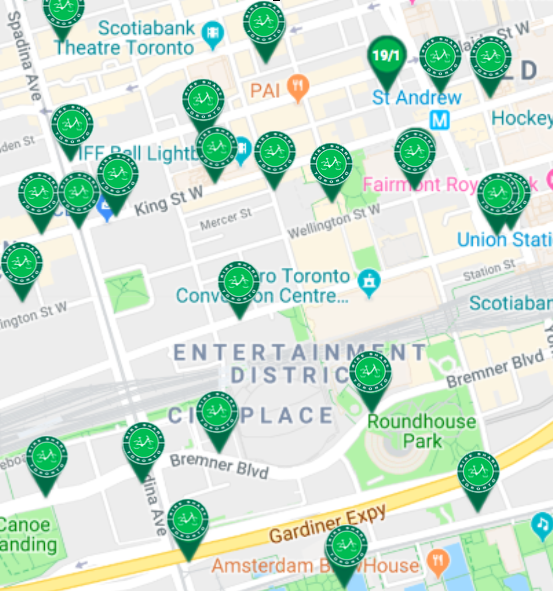 Say goodbye to chocolates and hello to adventure with Bike Share Toronto. Grab two passes and discover four routes that are sure to make your sweetheart swoon this February. The stunning historic buildings, quaint brick walkways and dreamy street lamps – there’s no doubt that the Distillery District is one of the most charming neighbourhoods in Toronto. The most romantic spot? The Love Locks. Couples from around the world visit this iconic location to place a lock as a symbol of their love. After you’ve placed your Love Lock, enjoy the Toronto Light Festival, over 40 unique boutiques and restaurants galore! Ride to one of our 4 nearby stations and lock down your love in the Distillery District this Valentine’s Day. Nothing says I love you quite like food. If you’re celebrating Valentine’s Day by indulging in delicious eats, we suggest taking a spin through Little Italy. From extravagant restaurants to eclectic cafés, Little Italy is certainly a destination for all things tasty. Enjoy delectable pasta, rich gelato, exquisite pizza and more! 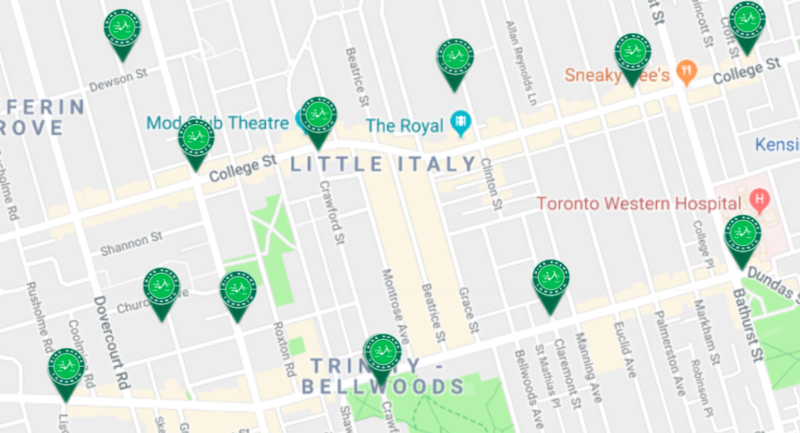 Grab a Day pass and venture on a food tour in Little Italy with your special someone. With stations aplenty, simply dock – eat – repeat! Want to wow your Valentine? Spend the day exploring the Entertainment District. 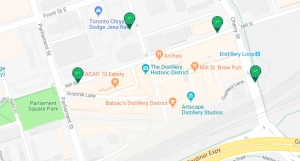 Home to the city’s most popular attractions, there’s certainly no lack of adventurous date night destinations in this neighbourhood. Whether your loved one likes theatre, art, fine dining or even marinelife, there’s something for everyone. 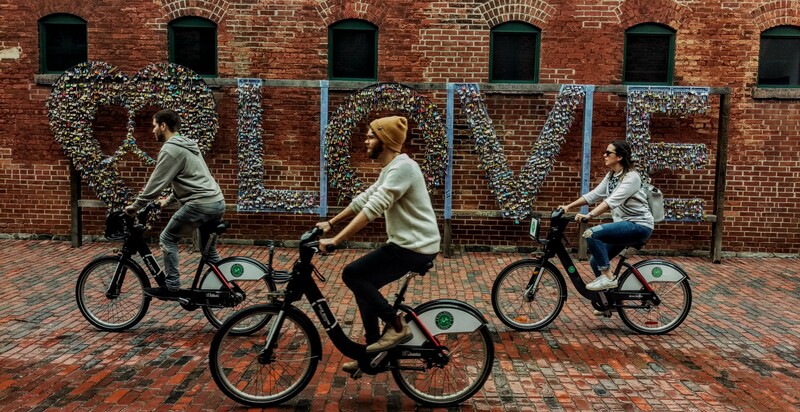 Pedal to a play, ride to Ripley’s Aquarium or bike to TIFF with Bike Share Toronto for a Valentine’s Day you won’t forget. 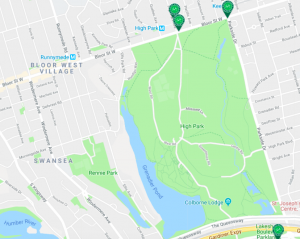 If you’re looking for a scenic route through the woods, High Park is for you. The snowy trees and murmur of the river make for one romantic bike ride. If your special someone is a nature lover, this route won’t disappoint. Bonus: the high park zoo is open year round! We suggest starting at one of our Bloor stations and heading south to our Lakeshore stations for the best tour of the 399 acre park. Plan your romantic ride for two or best friend’s adventure with our system map or download the apps.